Home › Toys › Mcfarlane Toys Construction Sets- The Walking Dead Tv Series 2 Blind Bag Figu..
Mcfarlane Toys Construction Sets- The Walking Dead Tv Series 2 Blind Bag Figu..
McFarlane Building Sets Blind Bag program lets you build your own horde ofwalkers, or group of surviving humans to recreate the post-apocalyptic worldof the hit television series, AMC's The Walking Dead. 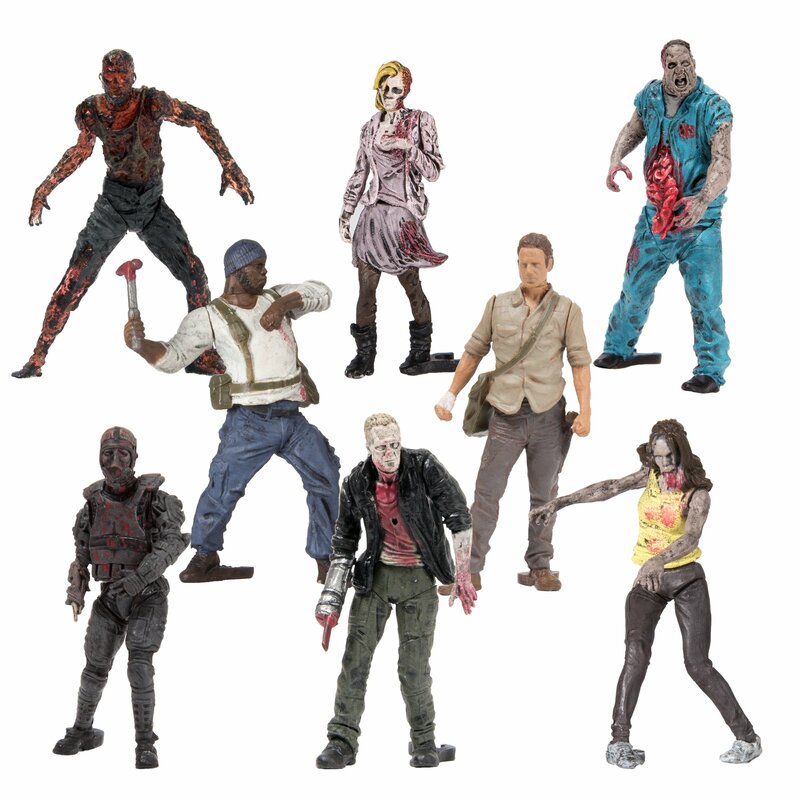 Each blind bag containsfive to seven interchangeable body parts to help bring a favorite character ora flesh-eating walker to life. Each 2" figure is in scale with The WalkingDead Building Sets (sold separately). Construct your army of survivors andhordes of Walkers, then recreate your favorite scenes from the show. Pleasenote Human and Walker figures will vary. McFarlane Toys is bringing arevolutionary evolution in brick building toys that allows collectors and fansto literally build their favorite scenes with these highly detailed andrealistic construction line. Each set brings immaculate detail, iconicenvironments, and convincing sculpts, all at an unpredicted size. Add multiplecharacters to your scenes, combine builds, or just enjoy your awesomecreations on their own.